Content I wrote for the Raised Floor Storage company explaining the benefits a mezzanine floor provides such as extra storage space in offices and warehouses. 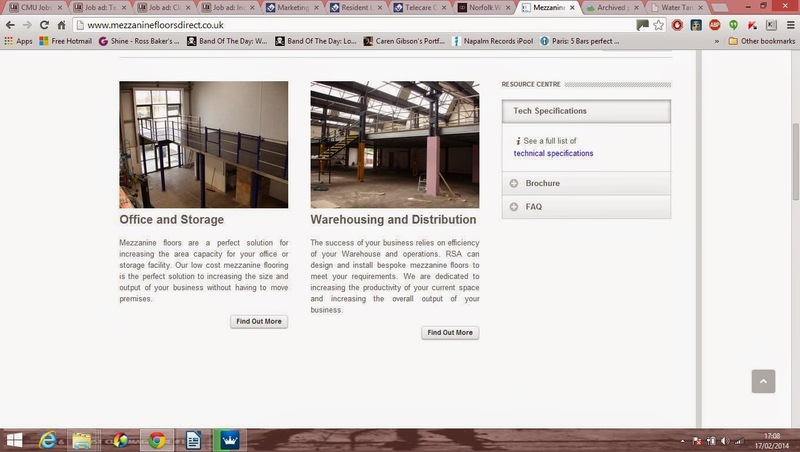 While working on content for mezzaninefloorsdirect.co.uk (Part of the Raised Area Storage Company Group) I researched regulations involving the building of mezzanine floors as well as helping sell the potential benefits of my clients services to customers from factories to office based firms. This entry was posted on May 1, 2015 by bakerross. It was filed under Copywriting and was tagged with Content Marketing, Factories, Mezzanine Flooring, Ross Baker Copywriter, RSA Mezzanine Floors, Storage space, Warehousing.